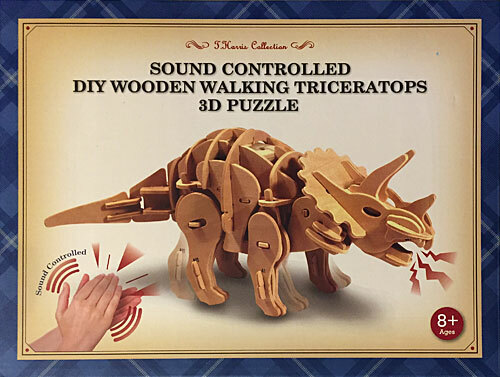 One of my favorite gifts last Christmas was completely unexpected: a sound-activated moving 3D triceratops wooden puzzle. My wife found it at our local Steinmart (it's sadly no longer available via their website, but here's what appears to be an acceptable alternative). The box looked a bit intimidating, as I've found that I'm usually less skilled than the average 8 year old when it comes to following instructions. 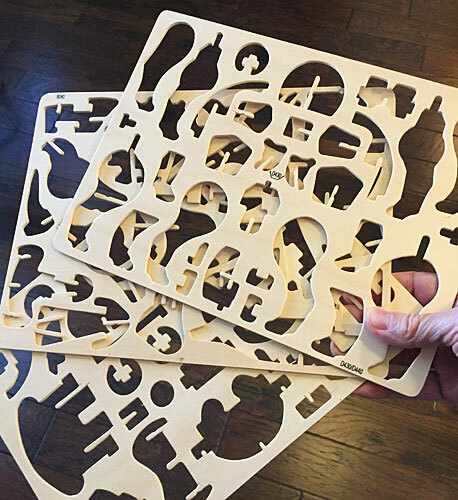 My feeling of impending doom grew stronger when I removed the contents, consisting of three sheets of surprisingly sturdy wood (the puzzle pieces were pre-scored for easy extraction), a battery powered motor, and a large sheet of detailed instructions. Fortunately, the instructions were much clearer than I expected, as they not only included drawings of how each numbered piece fit with the others, but also photos of how the puzzle looked at each step. That combination of photos and drawings is something that should be standard for all assembly instructions that are more complicated than "install batteries." And the puzzle pieces were of higher than expected quality. I had to sand only a couple of pieces to make them fit together, something that the designers anticipated because they included a small piece of sandpaper for that purpose. I went back through the instructions a couple of times, and then asked my wife to do the same, and neither of us could find any reference to A20. Well played, Triceratops Puzzle Manufacturer. Even with a possibly missing component, the final result was fairly impressive, especially if you're a fan of Ray Harryhausen's work in Jason and the Argonauts (and, really, who isn't?). "But, Eric..." I'm sure you're asking, "...how does it work? Is it realistic? Is the dinosaur on the box roaring, shooting out laser beams, or just throwing up?" Wonder no more. The sound you hear at the very beginning of the following video is my snapping fingers (clapping one's hands while holding a camera is just as tricky as you imagine), which activates the device. 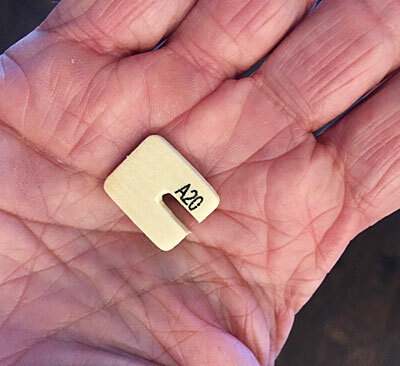 There are actually three levels of activity depending on the number of claps (or finger snaps...or coughs, for that matter, as I discovered in startling fashion one evening). 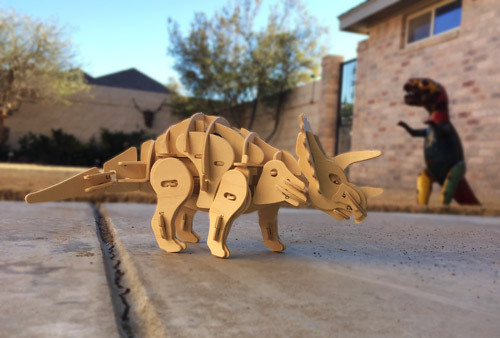 One of my cousins who is a skilled builder of furniture and worker of wood advised me to apply some sandpaper to the bottoms of the dino's feet on one side to make it walk in a straight line, and I may do this someday, but the circular path has some advantages. I think we can all agree that clapper technology has reached its pinnacle in this application. *Not really. Prehistoric sound waves aren't fossilized; they're preserved in amber. Go watch Jurassic Park again. This page contains a single entry by Eric published on January 26, 2017 2:00 PM. Midland to Refugees: Welcome! was the previous entry in this blog.